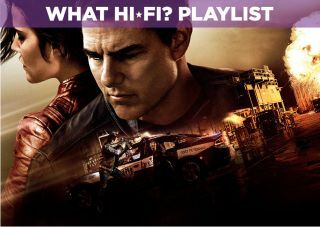 Jack Reacher: Never Go Back – Blu-ray review | What Hi-Fi? Tom Cruise returns as Jack Reacher, but does it match up to the first film? In Lee Child's best-selling crime series, Jack Reacher is 6ft 5in, 210lbs with the physique of an NFL linebacker. Something Tom Cruise certainly isn't. But 2012's Jack Reacher worked, partly because it skirted that physical discrepancy and partly due to the style Christopher McQuarrie brought to the film as well as Werner Herzog's memorably strange villain, The Zec. Cruise returns for the sequel, Never Go Back, but McQuarrie does not, replaced by Cruise's The Last Samurai director, Ed Zwick. The result is a competent, formulaic effort. Still wandering the country with nothing but cash in hand and the shirt on his back, Reacher strikes up a relationship with a military liaison Susan Turner (Cobie Smulders) and asks her out for dinner. Arriving at her office in Washington DC, he learns that Turner has been arrested on suspicion of espionage and murder. Reacher aks Turner's lawyer for help and gets more than he bargained for when he informs Reacher that he may have fathered a 15-year-old girl called Samantha (Danika Yarosh). When the lawyer is killed and Reacher is framed for it, a conspiracy emerges involving the military and a private arms company called Parasource. An added complication arrives when an assassin (Patrick Heusinger) finds out about Samantha, leaving Reacher and Turner no option but to bring her along. What's immediately apparent is that the verve of the first film is missing. The cold opening (teased in the trailer) promises a return to the feel of the first film, but then struggles to sustain it. It does offer a stronger set of relationships than the first film. Jack Reacher was all about Jack Reacher. Never adds in Smulder's army Major who, like Reacher, is smart, tough and self-reliant. It makes for an interesting dynamic, although he's still the seemingly omniscient and prescient protagonist from the books. Yarosh's Samantha shares traits with Reacher and part of their relationship is Reacher (slowly) broaching the idea that he could be a father, a thought that makes him uncomfortable. Her tough upbringing (she's a troublemaker and kleptomaniac) and the presence of both Reacher and Turner results in a surrogate family that (predictably) gets closer as the film goes on. Heusinger’s enjoyably nasty assassin pursues them, although like other elements of the film, the villains are fairly one-dimensional. Action doesn't seem to be one of Zwick's strengths as a filmmaker, as he delivers without much vigour. There are times where you can see fight choreography not quite gelling as well as it should, which isn't helped by the stiff editing and framing. Despite the 12A rating, it has an edge to it. Bones crack, headshots are fired and people are well and truly knocked out. When Reacher delivers his 'justice', it's administered in a rather brutal (yet still enjoyable) fashion for a 12A. From an AV standpoint, this isn't the type of film that necessarily draws attention to it. It's meant to be realistic and the Blu-ray makes a good impression in that regard. Blue and green tones tend to dominate what is for the most part a bright (if slightly muted) image. Blacks are deep enough without too much detail being lost, while whites are stark and clean. There are a few nice details, such as the sparks that burst from assault rifles when they're fired. Complexions are handled in a natural manner and as the characters run from one place to another, you can spot the beads of sweat on the actor's faces, which adds a sense of realism. Dialogue operates out of the centre channel in a clear and audible fashion. The action focuses mostly on your front three speakers, with the backs used to provide a backdrop - there's a scene where Reacher is at a motel and you can hear the rain lashing down from behind. When the action gets going it delivers a clear experience that offers plenty of beef and weight, making for an enjoyable and engaging soundtrack. We haven't mentioned Cruise and it's a competent performance from the leading man, which is something we could say for the film as a whole. If you're a Jack Reacher fan, there's no reason why you won't have some fun with Never Go Back. But you're likely to have seen the action before and done better, if we're being honest. At least on the AV front, this is an good disc. Never Go Back doesn't up the ante from the first film, nor does it enter into new territory for the character. There's entertainment to be had, but this is a case of diminishing returns.